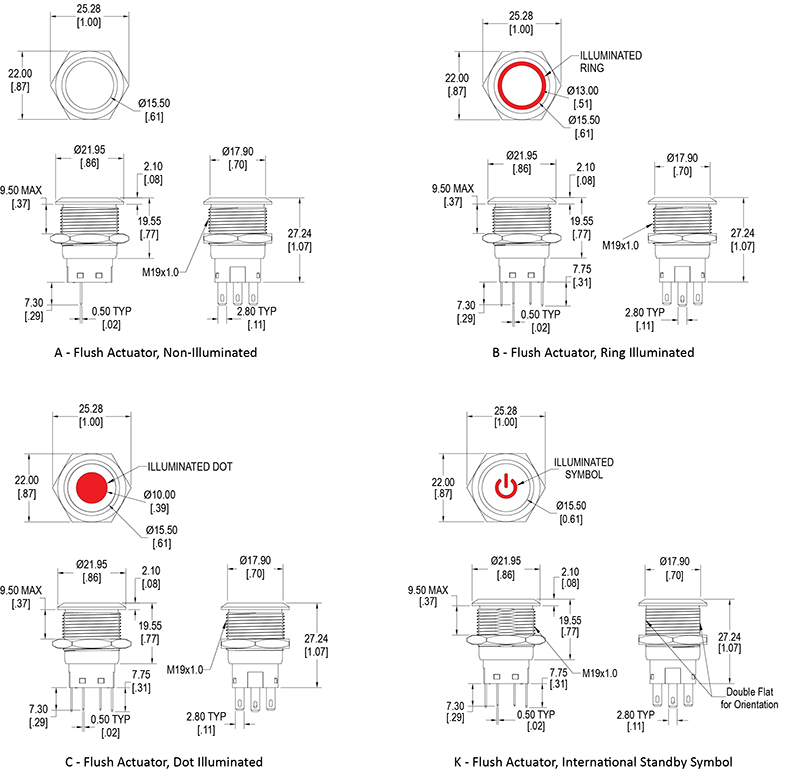 The AHU Series illuminated momentary switch is our UL approved version of the AH Series. 19mm in size, the AHU is available momentary or latching. 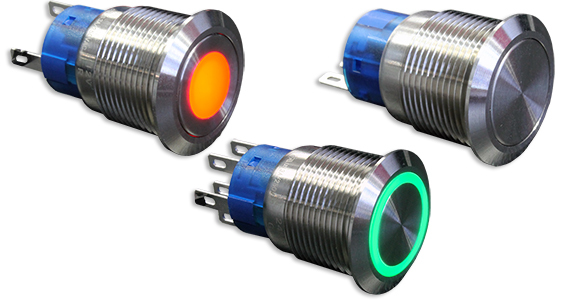 The flush actuator on this tact switch can be non-illuminated, or bi-color ring or dot illuminated. Also available is an illuminated universal standby symbol. LED color options include red, yellow, green, blue and white. LED voltage ranges from 6VDC to 220VAC. Wall plates for the illuminated switch are available in brushed aluminum and yellow anodized brushed aluminum in three different sizes along with aluminum switch housing in up to 5 positions, with and without mounting flanges.